According to our friends at Elkrem, the team has been developing a hardware platform that would let engineers and makers build Ethereum and other cryptocurrency-connected IoT devices without a need to have extensive knowledge on how blockchains work. More specifically, it enables developers to integrate Dapps (Decentralized Applications) with IoT projects capable of connecting to a blockchain. In the video below, the team demonstrates one of the possible projects using a connected vending machine that accepts cryptocurrency, which can be transferred from your ledger wirelessly to the device. The team designed what they call an Elkrem development board (in prototype form), which features a FriendlyElec Nano Pi that runs the Ethereum (or other currency) light node. 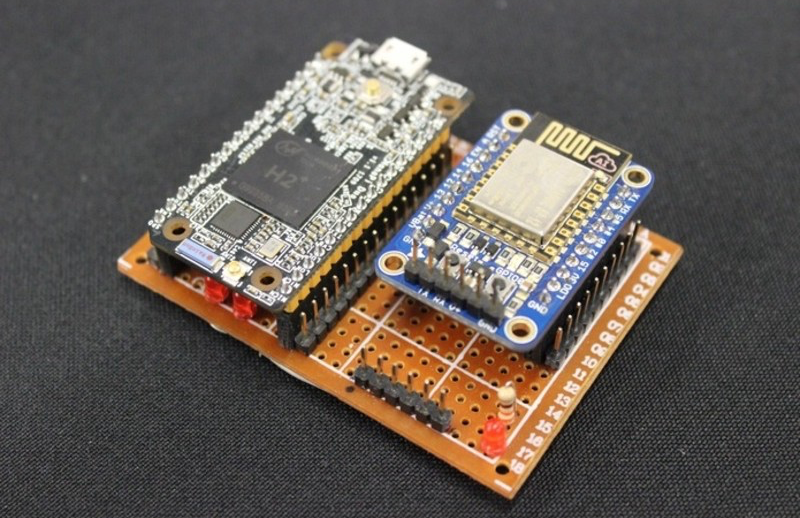 The Pi is connected to a 32-bit programmable microcontroller, which communicates with the Pi using Protobuf via HDLC over UART. An app on the Nano Pi allows it to receive firmware utilizing an ESP8266, and uploads it to the microcontroller and then runs a different app to manage the user’s code and transfers them to a cryptocurrency light node. Elkrem is currently developing an all-in-one platform that supports the Ethereum, Whisper, Bitcoin, IPFS, Status.im, and Swarm protocols, and will use the Kyon library manager to accept cryptocurrency payments. The company is planning to launch the development board as a kit on Kickstarter with the idea of spreading it among developers and engineers to help advance their IoT-blockchain projects later this year. It will be interesting to see what projects people will design with this development board once it’s released. Create Your Own Blockchain IoT Devices with the Elkrem Development Board was originally published in Hackster Blog on Medium, where people are continuing the conversation by highlighting and responding to this story.